Small ecological oriented goat farm in the town of Bodega, West Sonoma County, seeks a responsible self directed person or couple interested in joining our farming team. 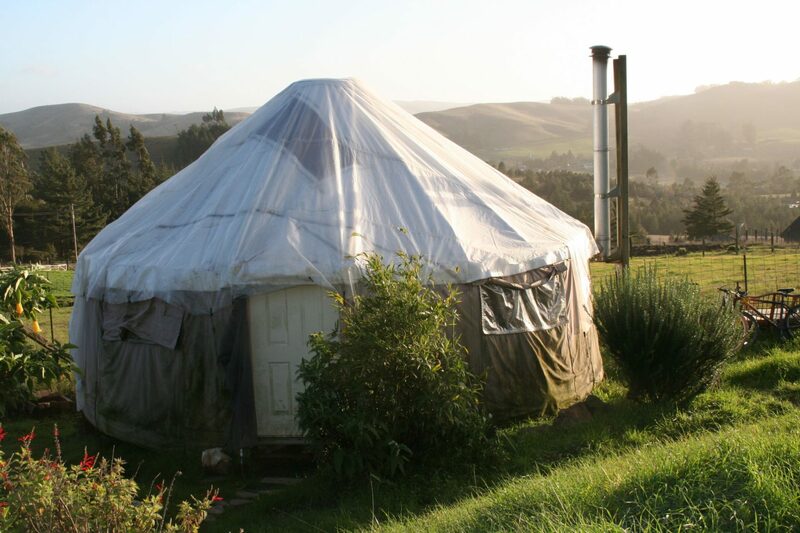 The living space is a 22′ yurt with wood burning stove, gas oven and burners, , small refrigerator, and outdoor sink with detached, shared composting toilet. Rent is $600/month for 1 or $650/month for 2 including some utilities. Available work trade includes milking, cheese making, farmer’s market, and any additional farm projects such as beekeeping, straw bale building, etc. Seeking long term land partners for most of 2009, beginning October 1st, 2008. Experience preferred and willing attitude toward cooperative sustainable farming. Please contact Patty Karlin at 707-876-3483. So many opportunities for young farmers– don’t forget to visit the land link in your state–and have a look at our own Greenhorns Guidebook.